The reliability of parking terminals across the Isle of Wight is set to improve, thanks to a decision by Island Roads to replace its ageing meter estate with new solar-powered technology from Parkeon. Island Roads is responsible for the island’s highways network and associated services, and recently opted to install 40 energy-efficient Parkeon Strada Rapide parking terminals as part of a programme that will see the renewal of 139 machines by 2020. David Wallis, Island Roads’ Operations and Maintenance Manager, said: “The new meters will be more reliable than the models they are replacing, some of which were nearing the end of their serviceable life and required an increasing amount of maintenance. The new Parkeon terminals are more energy-efficient and environmentally friendly than the non-Parkeon technology being replaced, thanks to in-built solar power. They are linked to Parkeon’s Smartfolio central management system, which enables the terminals to be monitored remotely and parking and payment data to be analysed to inform the council’s future parking strategy. 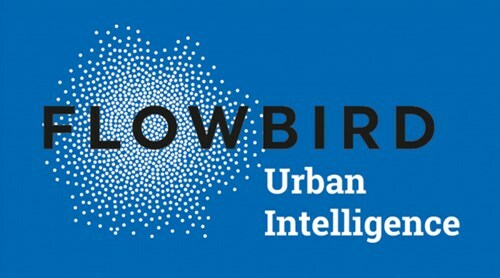 Parkeon and Cale have merged to create Flowbird, the world’s leading parking services and urban mobility company. Parkeon is a key player in the area of urban mobility. By offering a unique range of solutions for parking management and transport ticketing, Parkeon now has operations in 60 countries and is accelerating growth in the emerging markets in Eastern Europe, Asia and South America. Its capacity to innovate continually is demonstrated every day. Parkeon Parking and Transportation solutions are facilitating mobility in more than 4000 cities.